Summit EMEA Dublin – 3 Days of Learning, Networking and Growing Together! 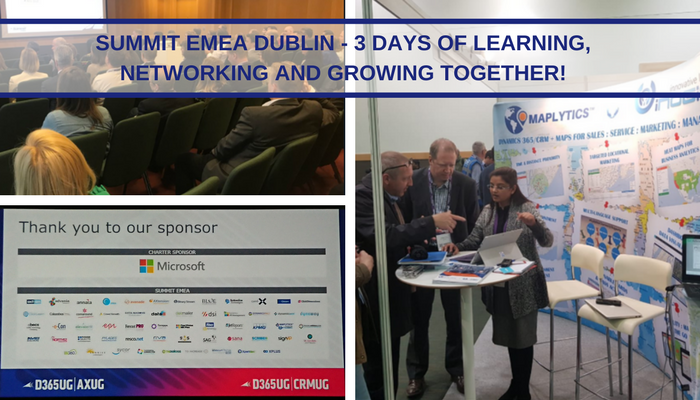 We were at the Summit EMEA Dublin for the first time as a Silver Sponsor, and had a really amazing 3 Days of Learning, Networking and Growing Together! Team Inogic would like to thank everyone who visited our booth at the event and special thanks to the Summit EMEA team for the exceptional experience. Summit EMEA was filled with opportunities and knowledge exchange from Partners, ISVs and Microsoft Leaders. And our teamwork paid off and was reflected through the visitors’ interest in our innovative apps and globally acclaimed services for Dynamics 365 Customer Engagement. Our participation in Summit EMEA was a great success. We showcased the latest release of our flagship product Maplytics™ – A Premier geo-analytical solution which enables organizations to enrich their business data and unveil hidden location insights for powerful Map Visualizations, Geo-analytics, Routing, Appointment Planning, Territory Management and more. The response we received for Maplytics was phenomenal and is a motivation for us to keep innovating and improving Maplytics! We also received an overwhelming response from visitors for another Dynamics CRM products and services. 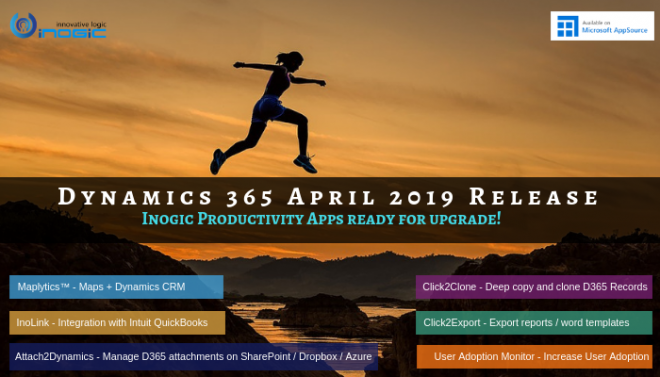 Our product portfolio for Dynamics 365/CRM includes innovative solutions like User Adoption Monitor (Measure & Evaluate User Adoption), InoLink (QuickBooks integration), Click2Export (Export Reports with 1 Click) and Click2Clone (Copy/Clone Records with 1 Click). Our products combined with our exceptional Dynamics 365/CRM Services will completely redefine your Dynamics CRM/365 experience! In a nutshell, Summit EMEA Dublin was an incredible experience for us. And we are looking forward to our next adventure in D365UG/CRMUG Summit 2018 Phoenix, AZ! Download and try our Apps for Dynamics 365 from our Website or Microsoft AppSource! Meanwhile, you can reach us on crm@inogic.com to discuss and understand how our solutions and services can help you to get the most out of your Dynamics CRM implementation!